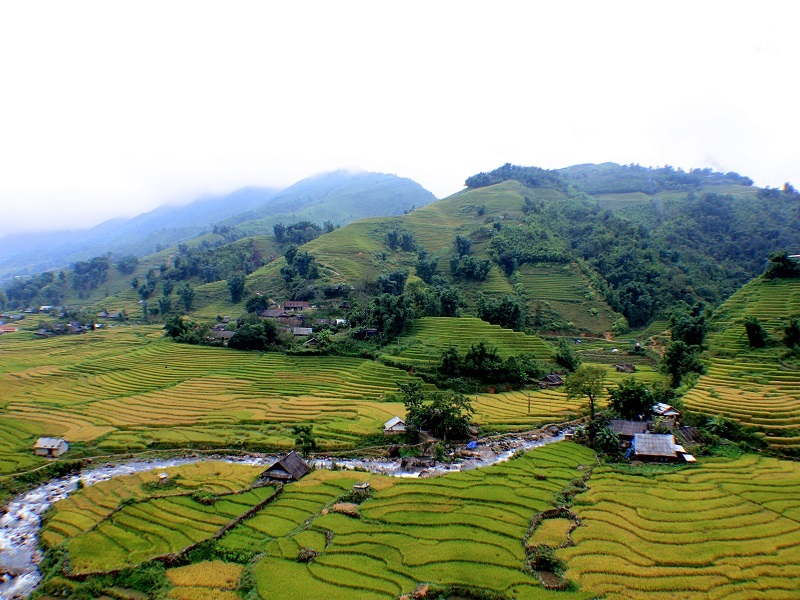 In the journey of exploring Sapa travel through misty high mountains in Northwest, tourists will get lost in a beautiful valley. A natural picture made by the Creator’s hand brings wonderful sounds about the peaceful rendezvous on earth. 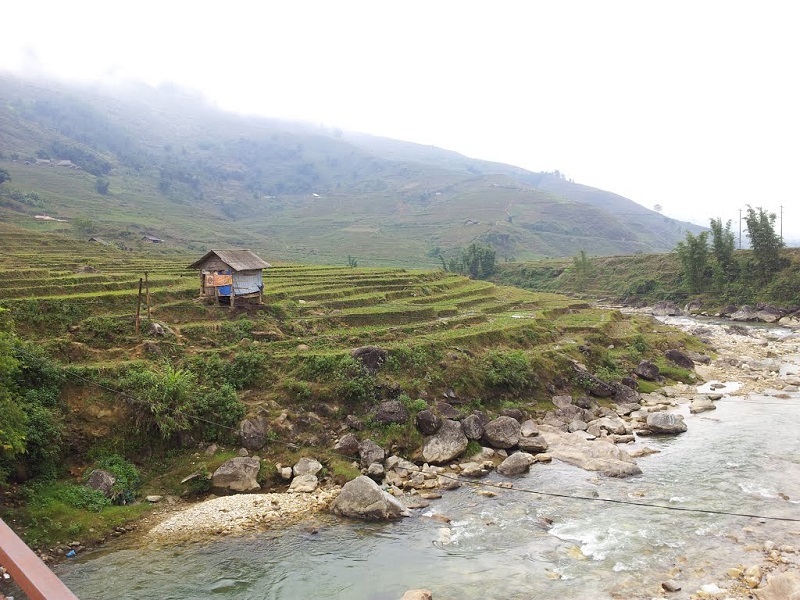 Thanks to the cool fresh climate with diverse nuances, Muong Hoa Valley is one of the most appealing tourist attractions in Sapa alluring the large number of both domestic and international tourists. 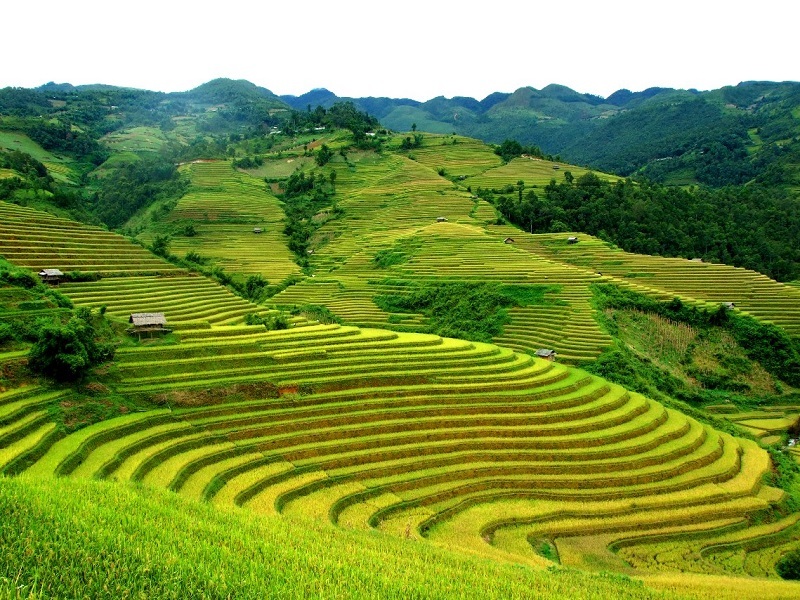 The natural beauty combining with the creativity of the human along with the terrain of mountains and green of forests have created an enchanting venue full of attractive romantic scenery. 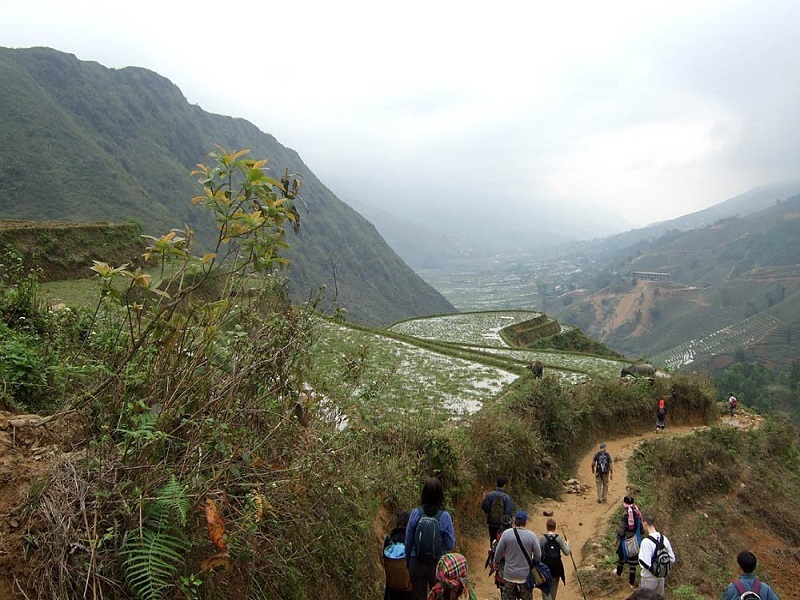 Going to Muong Hoa Valley, tourists will have the opportunity to admire Hoa Stream stretching 15km along the valley through communes, namely Lao Chai, Ta Van, Hau Thao… and ending at Ban Ho Village. 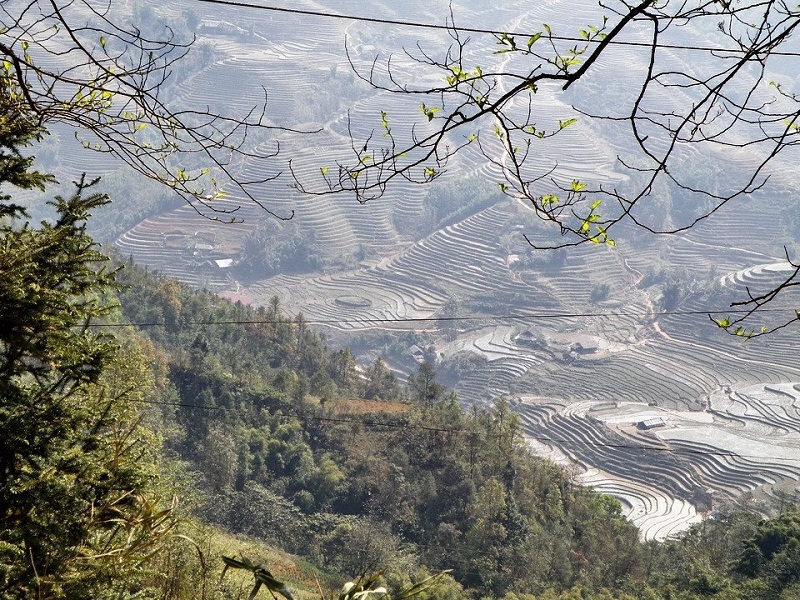 The winding stream curves along the slopes of rice terraces. 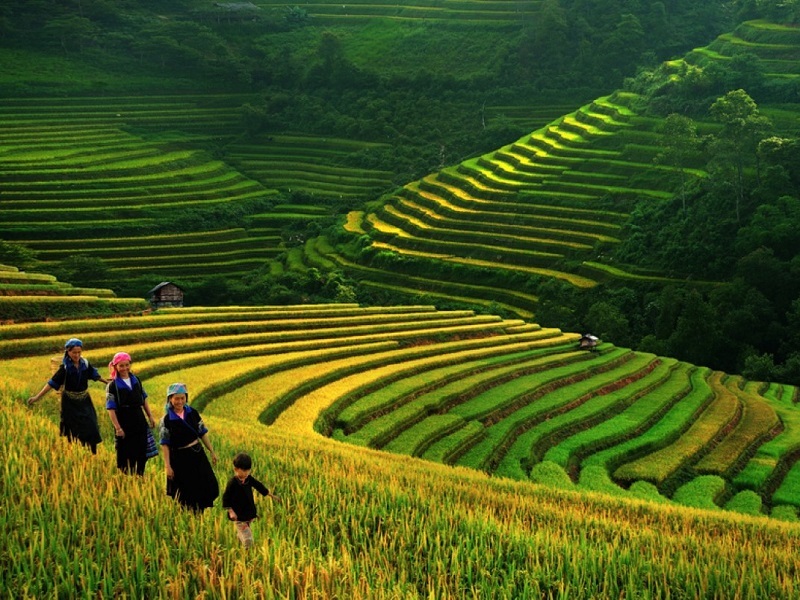 In the season of ripen rice, yellow from terraced fields silhouetting into blue water beautifies subtle beauty of Muong Hoa Valley. The fairly sizable stream is the convergence of 22 other large and small streams. Throughout the length of the stream, there are many cascades with white stones scrubbed and meticulously arranged by invisible hands. 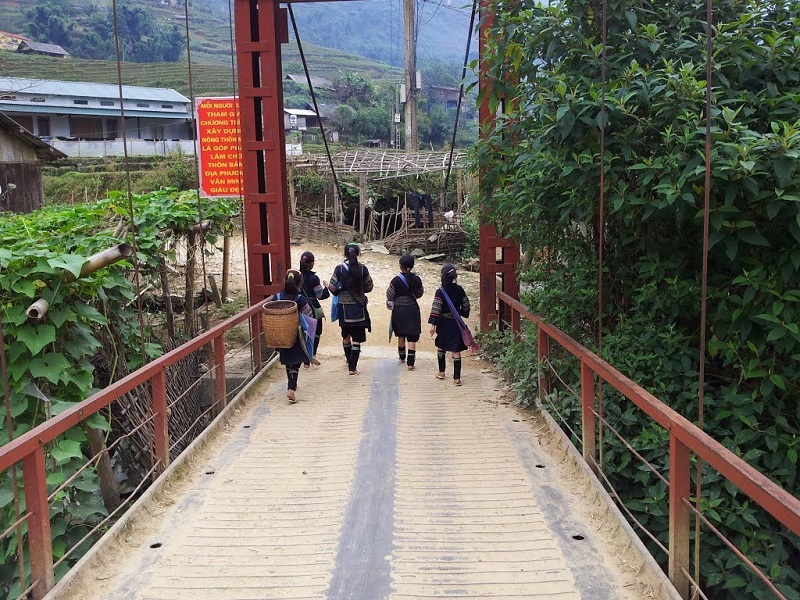 In order to facilitate for traveling, the locals here have built the bridges crossing the stream beside mossy old trees. 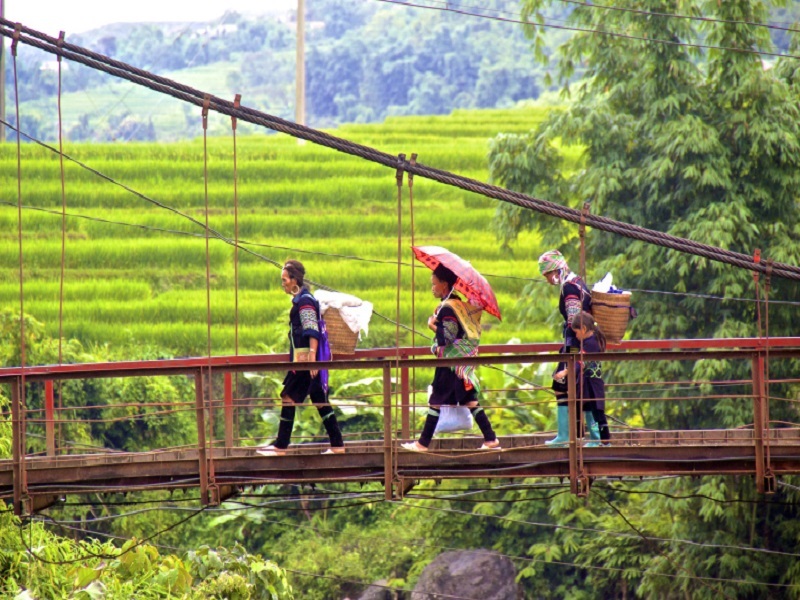 It is bridges that have contributed to adorn the stream and attracted the large number of tourists to unique Sapa valley.